I played with acrylic paint again. This time I chose gold, crimson, violet and for the reverse of the paper phthalo green. 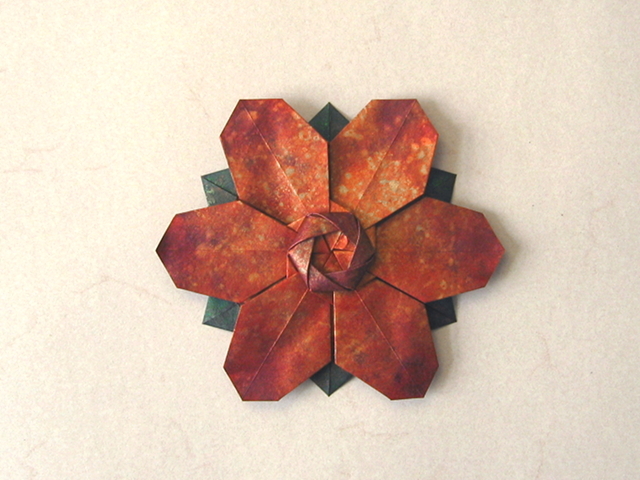 Hi Sara, the flower you colored and folded looks just gorgeous. I love your color choice. Fantastic. Thank you for making it and for posting! Hello. May I know if you painted the paper before or after you fold?